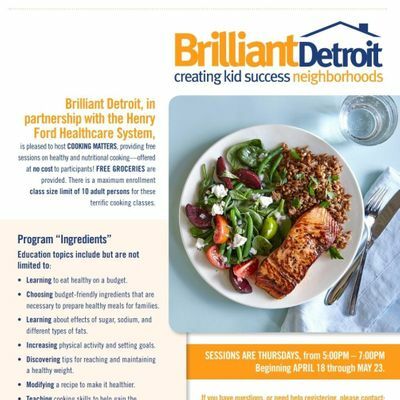 Brilliant Detroit in Parentership with Henry Ford Health System is pleased to offer Cooking Matters providing 6 sessions of health and nutritional cooking offered at NO COST TO PARTICIPANTS. FREE GROCERIES, are provided. 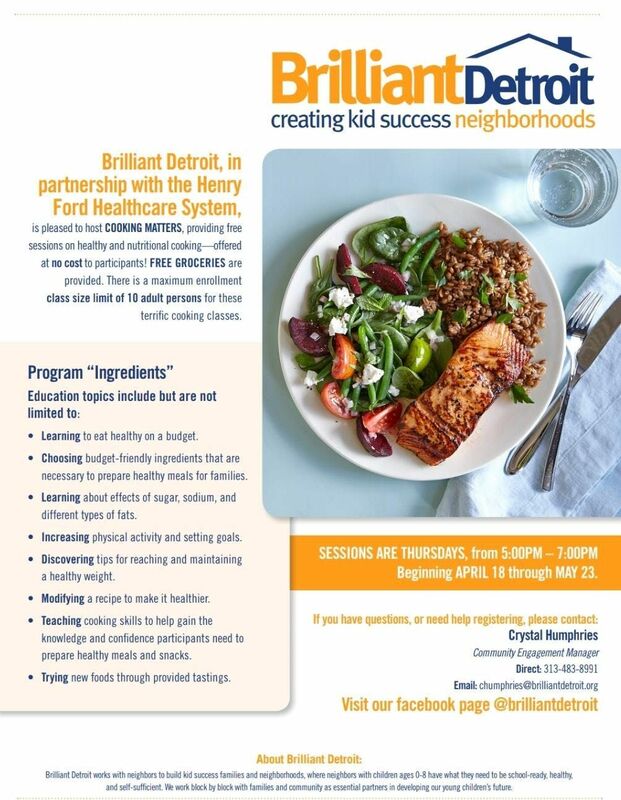 *Teaching cooking skills to help gain knowledge and confidence participants need to make healthy meals and snacks. We only ask that you are willing to come to 6 sessions that are absolutely free!! There are only 10 seats available.